For 2013, I’d like to begin a new series named “日本を見つけた” (Nihon wo mitsuketa); which roughly translates into ‘Finding Japan’, or something along those lines. In these posts I will do my best to highlight and provide information on certain architectural landmarks, famous locations, various activities, cultural exploits, and other points of interest. I feel that these will be a nice compliment to the motor sport and automotive lifestyle coverage, who’s existence is ultimately due to Japan being the country that it is. By sharing more than just one aspect of Japan, I hope to broaden the range of people who might be interested in Japanese motor sport and what it has to offer. Perhaps through these posts, you will be able to see similarities and ties between the two when you take a look at the country outside of the automotive view. 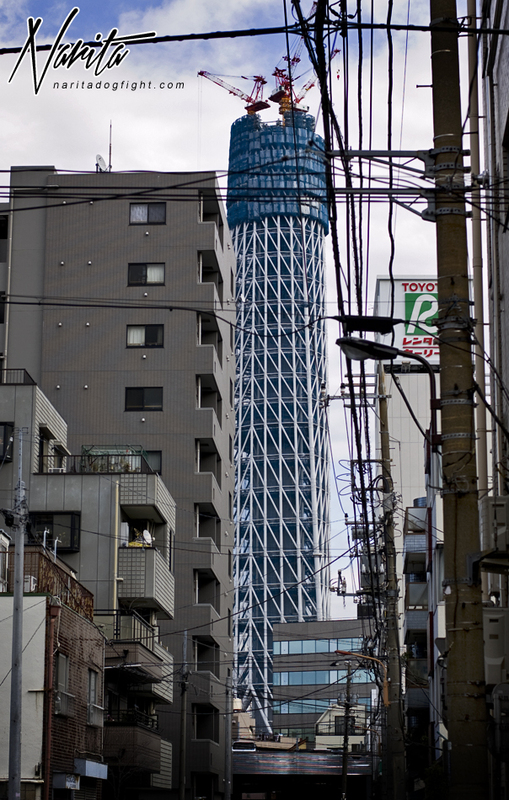 Let’s start it off with a trip to the Tokyo Sky Tree. 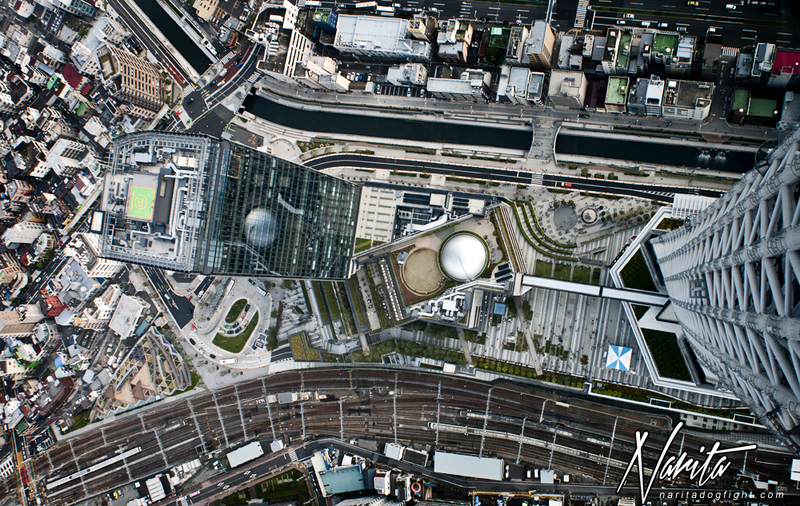 Completed in February of 2012, with a public opening date in May, this 634 meter broadcast tower is now the tallest structure in Japan. It also takes home the prize for tallest tower in the world, and comes second in tallest structure in the world, just behind the Burj Khalifa. 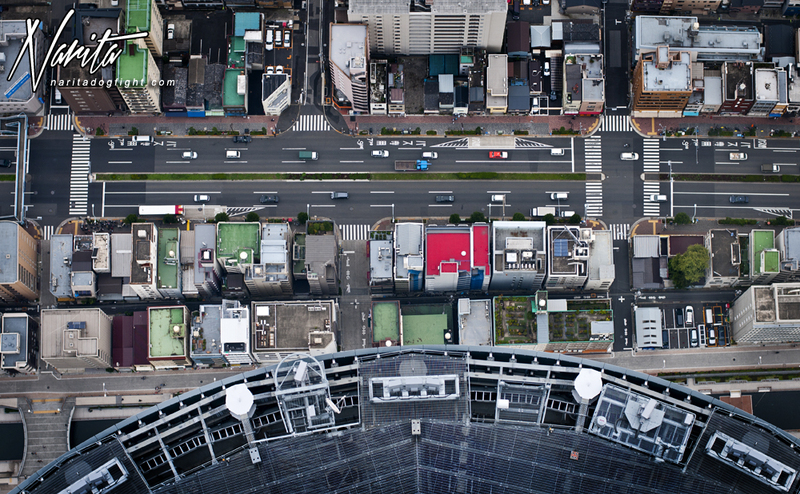 This project was undertaken as a means to replace the aging Tokyo Tower, which is used mainly for broadcasting television and radio signals throughout a good portion of the country. 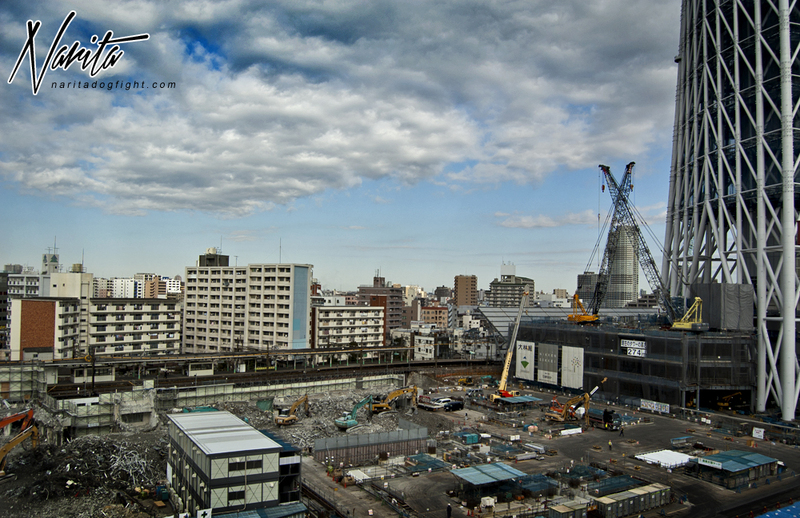 I took the above picture in 2010 from a park just above Ueno station. 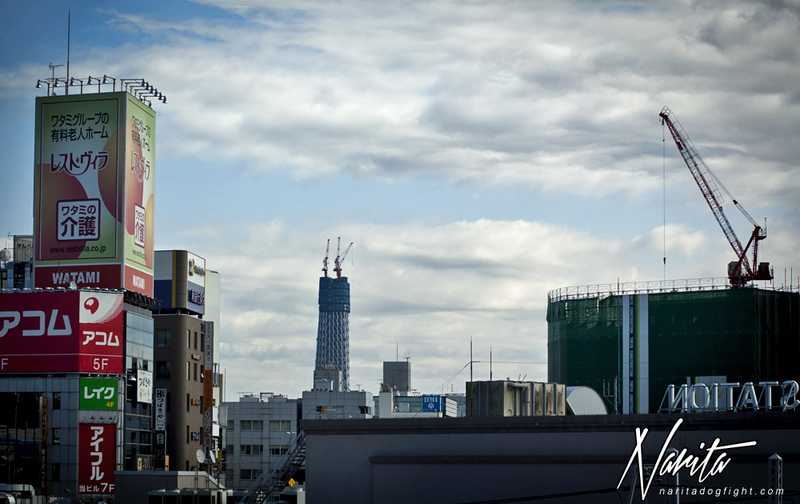 At this point in the construction, the Sky Tree was already the tallest structure in Japan. 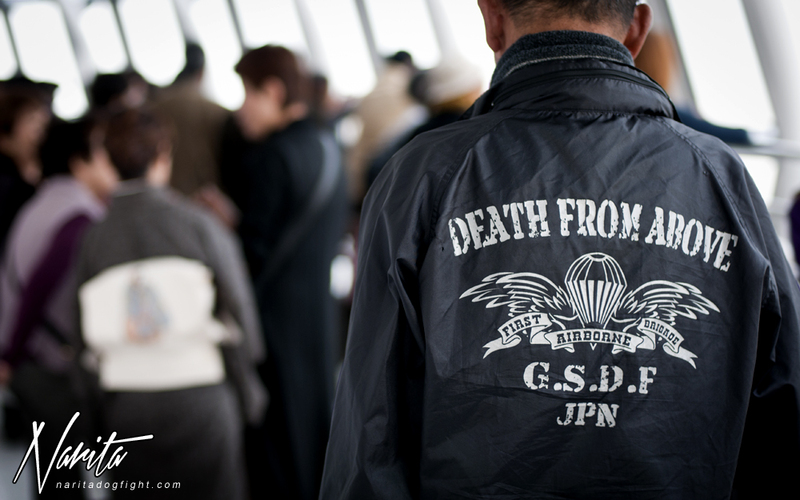 Which is literally in the center of a neighborhood in Sumida. My friend and I had climbed some stairs on the side of a relatively large apartment complex to get an overview. Very organized don’t you think? 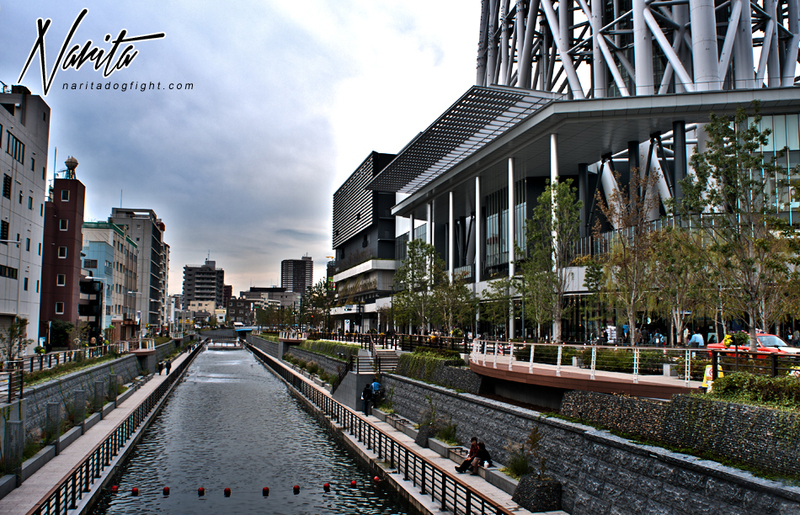 Fast forward two years to today and the pile of ruble, and debris that was once a construction site, has been transformed into the city’s newest hub for dining, shopping and entertainment; with the Sky Tree as the focal point. 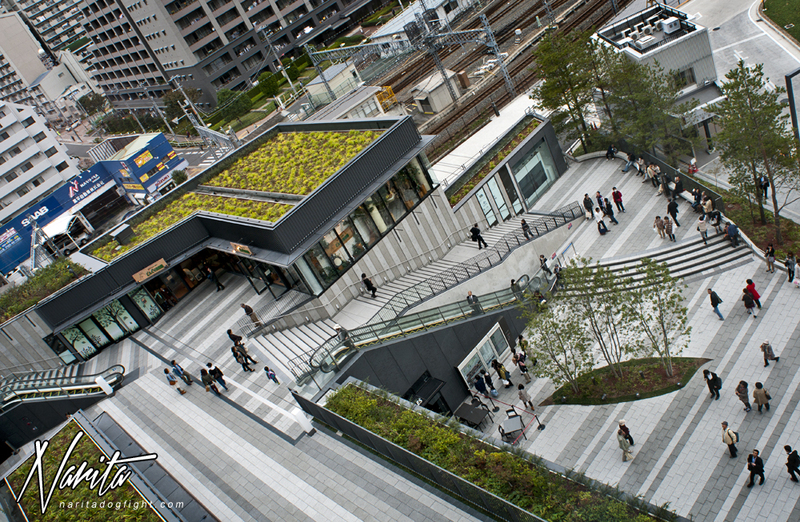 This new surrounding area was named ‘ソラマチ’, or Sky Town. To be able to see the entire length of the Sumida River as it cuts through the bridges of Nihonbashi, and leads into Daiba was pretty cool to me. 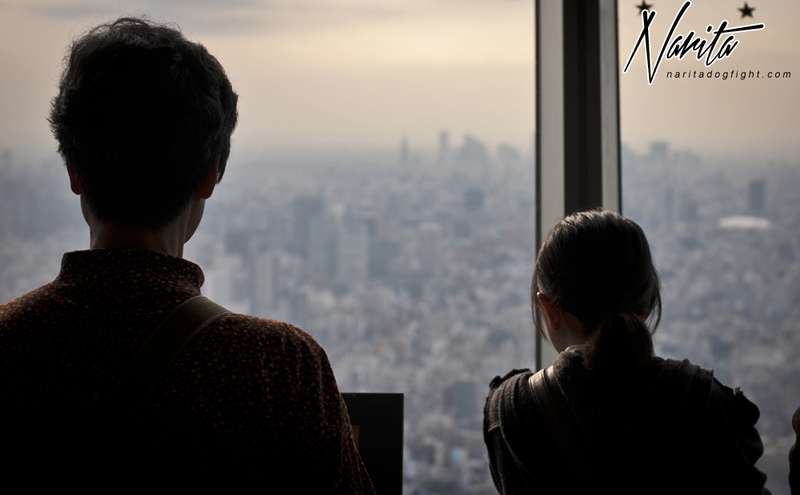 Literally, you could see all of Tokyo; and this wasn’t even the highest of observation decks. It’s fun to pick out all the architectural design features of all the buildings next door – like the open terraced garden/park thing in the roof of this building. If you didn’t know any better you’d think this was a computer rendering. 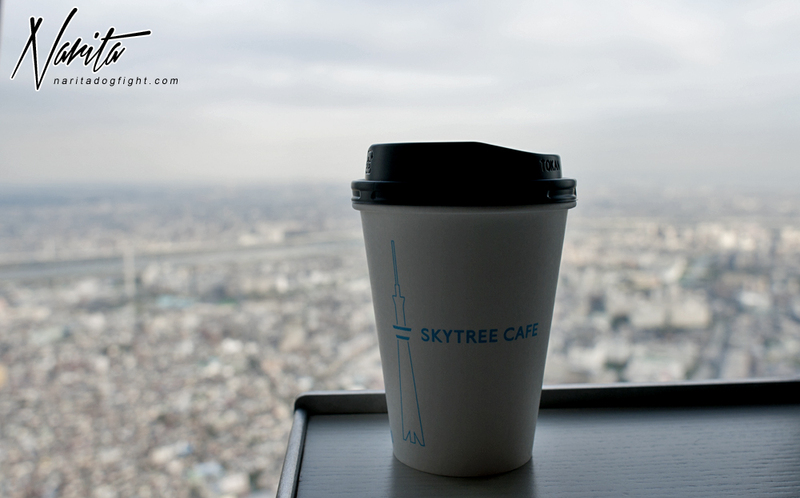 Before getting my second ticket (another $25) and heading up to the second observation deck, I enjoyed a cup of coffee from the Sky Tree Cafe. I walked out of the second elevator in front of this guy, who was wearing a rather appropriate wind breaker (or very inappropriate if you view it a different way). 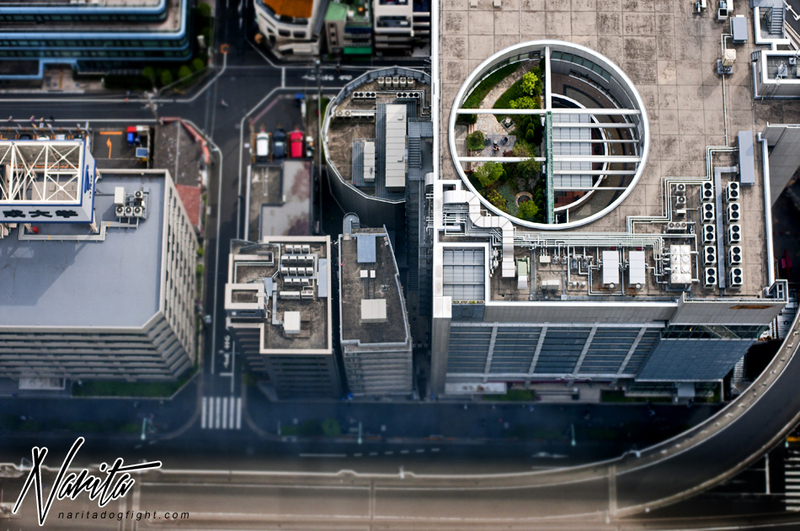 The second observation deck is much smaller, with a winding path that spirals the tower’s core. 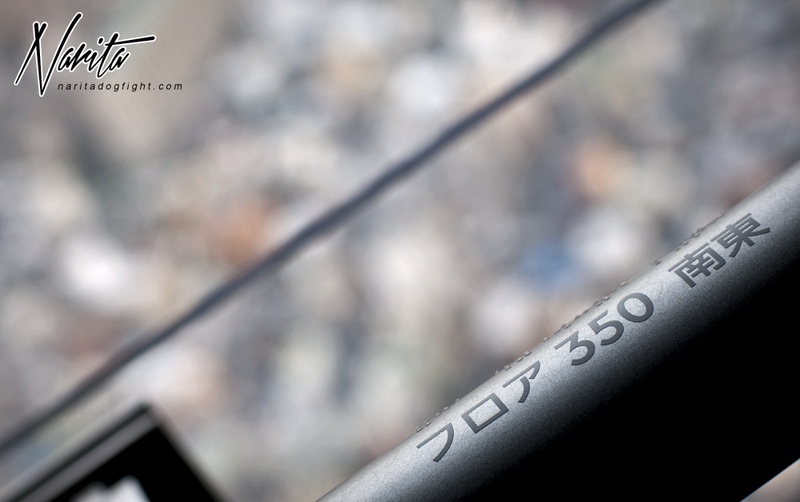 A look down at Solamachi and the Tobu rail lines. 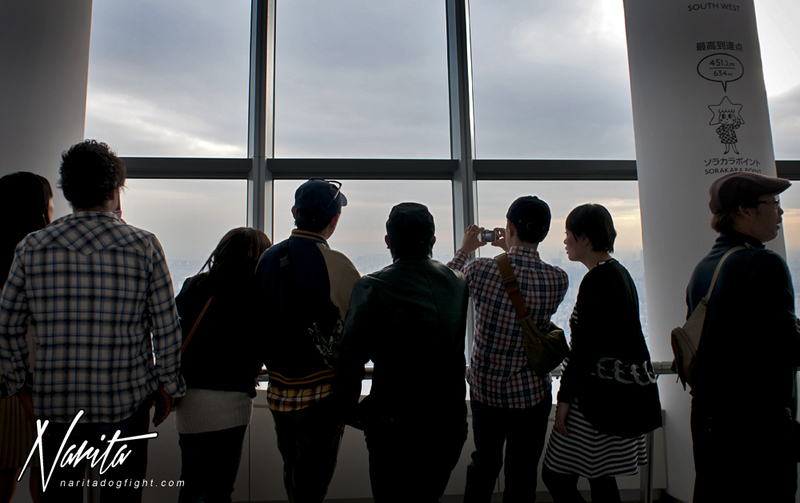 All around the windows people gathered to take in the views; it makes for a very relaxed, special atmosphere. Despite living in Tokyo, and seeing it every day, it’s nice to escape to places like this and see it in a different light. 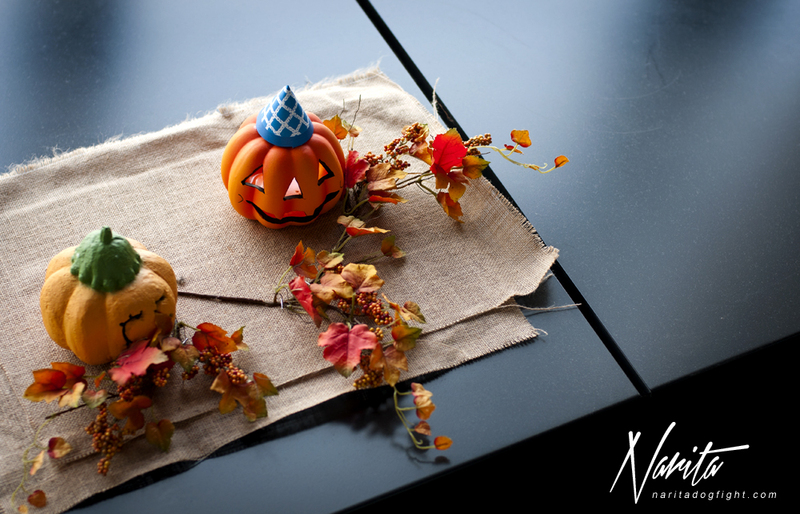 Since I visited in Autumn, the staff had placed nice, minimal decorations throughout the tower; a nice touch that some would overlook. I was meeting a friend at the base of the tower that night, so I decided I would stay inside until the sun set. It was nice getting to see the transformation of the city as it transitioned from day to night. 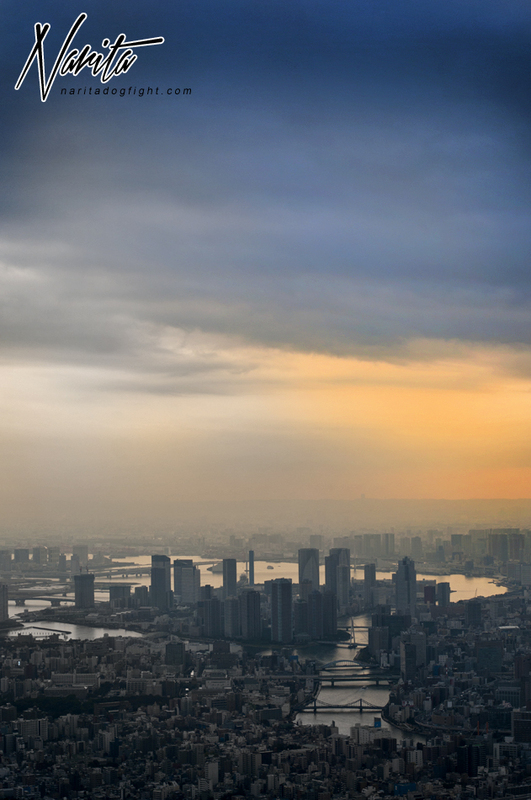 I’ll leave off with this shot towards Daiba at dusk; can you recognize any famous buildings? I hope you enjoyed the first part of this new series – although I don’t plan on doing these often, depending on the reaction I get, I will try do them more frequently. Thanks for visiting. This was great.. Please post more!!!! Great post, thanks for sharing! 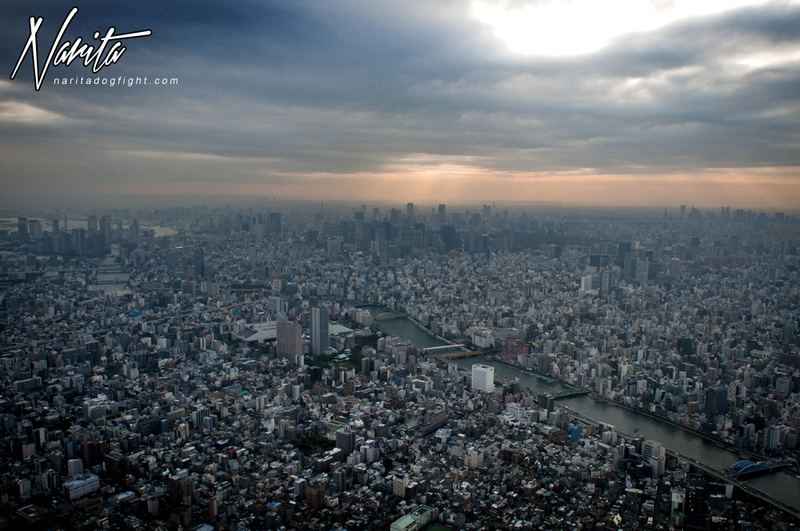 Hoping to visit the Skytree within the next couple of weeks! Great post, thanks for sharing! 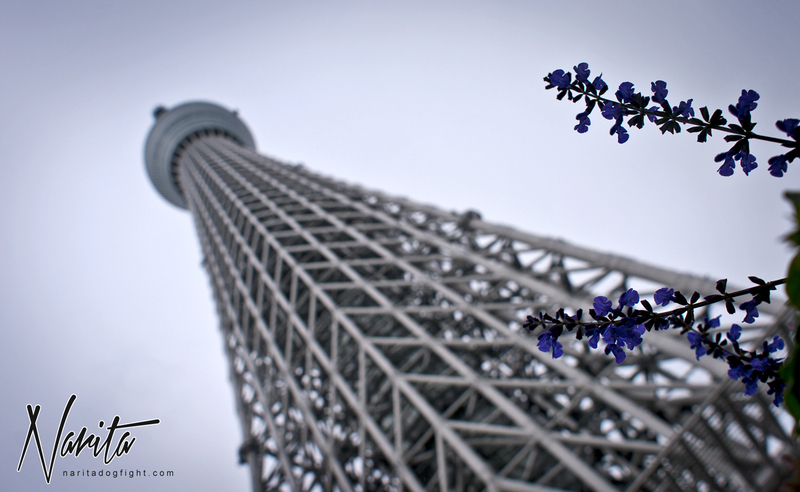 Hoping to visit the Skytree myself soon! Sean, can you upload a wallpaper version of the first pic? It’s sure a great post/article, really appreciate and enjoy this and hope you’ll have enough energy to put up more of these. Looking forward to it. i was there in October. it’s amazing at night! good coverage.